Creative advertising and attention-grabbing messages have an emotional impact. When it does, it can seduce a customer into buying products or services they might never have imagined. Boost your exposure and bring in new customers with a corporate branding sign from Hightech Signs in Austin, TX. Corporate identity signs may include everything from wall letters to a company name printed on the side of a building to a multidimensional display. Whether you need an indoor or outdoor corporate identity sign, our designs will help you build your brand and attract customers. Promote your business with personalized vehicle wraps and graphics and truck, van, and semi-truck decals. Advertising on the go is a way to widen your potential customer net beyond your local geographical area. From design to installation, our creative team of professionals will offer guidance and information to help you make the best decision for your business. Our prices are reasonable and we will work within your budget get to ensure your sign speaks to your business identity. Increase the visibility of your business with a corporate branding sign. There may be 15 restaurants in a 20-mile radius of your location. What makes your business different from the rest? Quality ingredients and a renowned chef will help, but unless someone has stepped foot into your business, how will anyone really know? This is where corporate branding comes in. Corporate branding is a powerful tool that shows what business is about, what it hopes to achieve, and how it provides value or impacts customers. Essentially, corporate identity separates your business from the rest. With the right corporate branding sign, you can get people talking about your business and calling or coming inside, looking for ways to learn more. A corporate identity or branding sign can effectively generate customer loyalty, boost your customer base, and even entice new investors. Getting a stake in the marketplace is essential to small and large businesses. With fierce competition, it is essential you own your brand identity and show it off whenever possible. Let Hightech Signs help you express yourself through a corporate branding sign made just for you. If you are short on ideas or are not sure how to approach the signage for your business, contact us and we can help you come up with an effective plan. At Hightech Signs, we believe companies of every size should have chance to grow and thrive. Our experienced team knows what questions to ask and how to answer your inquiries. We go through the process with you every step of the way to ensure the signage we create is completed on time, within budget, and to your satisfaction. We want the end result to be nothing but perfect in your eyes. 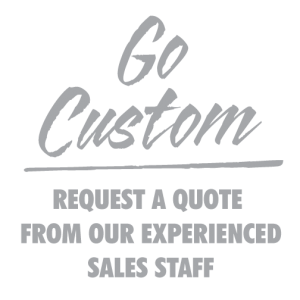 With over 25 years in business, let us use our knowledge and skills to design, produce, and install that helps you express your business, its culture, and products or services. Bring your image to the forefront with a corporate branding sign. Consult with our team about a corporate branding sign.